Phillip Skipwith’s research focuses on the evolution of geckos, a unique group of lizards. More specifically, he examines the evolutionary relationships and historically geography of this ancient groups of animals using genetic methods. We’ll begin with how scientists reconstruct the evolutionary history of organisms, then have a short overview of what exactly makes a gecko a gecko. Phillip will share his research and travel experiences on a specific group of geckos the Australasian region. 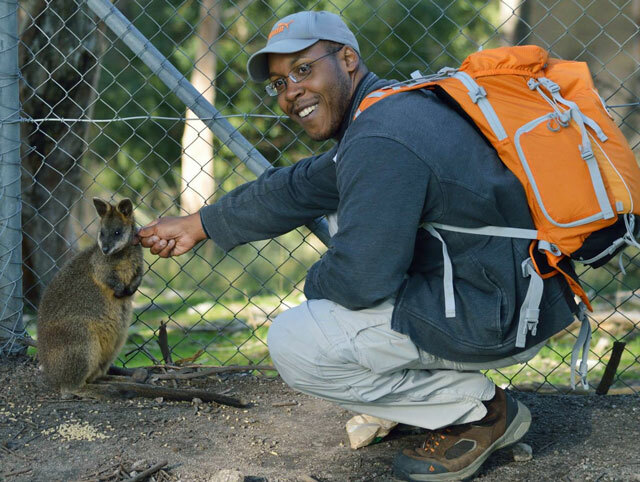 Phillip Skipwith is a 5th year PhD student in the Museum of Vertebrate Zoology, UC Berkeley. He currently works on the evolutionary history of a group of geckos in Australasia. He received his Masters in Evolutionary Biology from Villanova University and his B.S. from Richard Stockton University. is this event suitable for children (7 and 10)?